Jamie has spent more than 25 years focusing on how to make result-driven channels, primarily digital, and he works hard to achieve maximum commercial impact for pharmaceutical brands across different therapeutic areas. 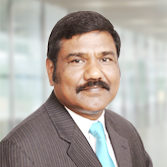 Sivakumar leads the R&D Services (Clinical, Safety, and Regulatory projects) at Indegene. 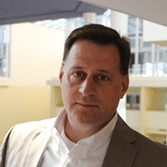 He has over 20+ years of experience in the life sciences industry and specializes in effecting digital transformations using automation, AI/ML, and analytics, which helps to solve complex business problems. He focuses on making strategies for pharma companies to leverage content and information that they have from myriad of sources to generate meaningful insights in order to improve their products, patient engagement, and operational efficiency by avoiding re-creation of content. He is also a thought leader in automation of safety processes and accelerating clinical trials. Junaid has been associated with Indegene for over 6 years and has been instrumental in providing healthcare marketing solutions to our clients who cater to patients, members, and healthcare providers. He has been creating and delivering customer experience throughout the patient and HCP journeys. He specializes in multichannel marketing strategy, brand management, analytics, CX, MCM campaigns, integrated digital media, and consulting and advisory services. Mike brings nearly 2 decades of experience in strategizing and leading analytical engagements through development of business objectives, analytic planning, resource recruitment and development, tool and infrastructure guidance, and cross-team management to action analytic insights. His business experience includes commercial, multichannel, and digital analytics. 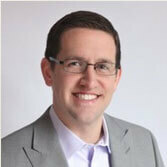 Mike possesses degrees in Business Analytics as well as Business Information Systems from the Miami University. 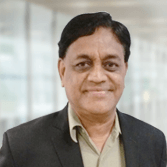 Sridhar has over 41 years of experience in the pharmaceutical industry, including 26 years at GlaxoSmithKline and 8 years at Indegene across different countries, markets, and therapeutic areas. He also has more than 23 years of experience in managing P&L at country and regional levels. 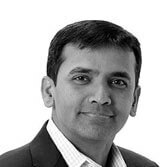 At Indegene, Sridhar leads the delivery operations in the MCM, Training Solutions, and Global Brand Solutions Business Units, providing engagement solutions to the global leaders in pharmaceutical and healthcare industries. Prior to being associated with Indegene, he was engaged with British Biologicals as Executive Director, managing the operations with around 650 employees with P&L responsibilities. He was also associated with Micro Nova, a division of Micro Labs, as Executive Vice President – Marketing, for 2 years, responsible for overall marketing, sales, business development, and logistics management with more than 500 field personnel. Sameer heads a portfolio in Account Management, covering the United States and Europe. 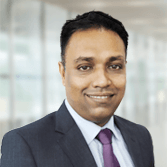 He has been associated with Indegene for over 10 years and is responsible for growth of its business across the service lines and being a global client partner for several of its top accounts. Sameer is responsible for a Promotional and Medical Review business unit and drives the overall P&L through sales and marketing efforts, capability building, innovation, and delivery. He also works closely with the Medical Outsourcing business unit to increase market penetration and drive business growth. Sameer has over 19 years of pharmaceutical experience, both in the industry and on the services side. Prior to joining Indegene, Sameer had served a variety of leadership roles in companies such as GlaxoSmithKline and Sudler & Hennessey. His expertise lies in building long-term strategic client relationships, developing programs to address specific business problems, and effectively executing against set objectives. Vivek has over 25 years of experience in sales and operational leadership roles, including over 5 years at Indegene. At Indegene, he has deployed new commercial models and supported commercial transformation through optimization of digital supply chain. He is responsible for setting up 1000+ capacity offshore service centers in India and China. Previously, Vivek had led life sciences vertical practice for a top-tier IT/BPO services company. 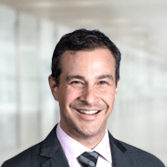 He has successfully led new business acquisition efforts with top 20 life sciences companies. 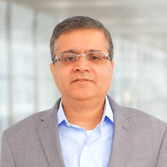 With his vast experience in partnering with IT, Marketing, Medical, R&D, and Global Business Services functions, he has created and nurtured relationships with fortune 100 clients. Suhas has broad experience in all aspects of accounting, auditing, and financial management. He has 15 years of direct experience working with IT and services companies and financial consulting (audit services), and has a keen interest in start-ups and early-stage hi-growth companies. He specializes in financial analysis and modeling, mergers and acquisition, and international tax. He has been associated with Indegene for over 11 years. 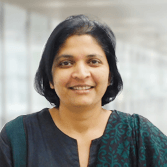 Bina leads the Human Resources unit for Indegene. She has over 22 years of experience, including over 11 years of experience at Indegene, in Talent Management, Team Development, and Global Systems. 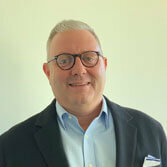 Marc heads the MCM and CLM business development in the United States. His strengths lie in business development, global marketing strategy, new product launch, closed-loop marketing, and multichannel marketing. He has more than 20 years of industry experience and was previously associated with Pfizer and Sanofi. 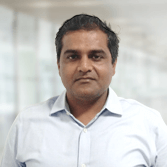 Rajesh heads the Analytics Practice team and is responsible for overseeing new product developments. Previously, he was associated with TCS as a Client Partner for one of its important Professional Services clients. At TCS, he helped build the Life Sciences Analytics practice from the ground up. Later at Mu Sigma, Rajesh led the Analytics teams for Retail and Technology Industry segments. He has also worked with GSK to design its Global Marketing Analytics Center in Bangalore over a period of 2 years. Later at GE, he was instrumental in designing analytics centers for some of its businesses. His project at GE on Inventory Optimization for Aviation Commercial Spares Kits won the Best Project for the Year. 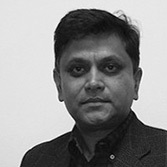 Rajesh has over 20 years of experience primarily in the field of Analytics and Marketing. He earned his MBA degree from IIT Bombay and is a Chemical Engineering graduate. Ramachandran has over 26 years of experience in the industry and has been associated with Indegene for over 10 years. He is a passionate analytics leader and a strong advocate of integrated analytics combining market research, competitive intelligence, data analytics, and social media. His role is to leverage technology for analytics frameworks and solutions. He has been instrumental in upbuilding Indegene’s analytics business from a small base to multimillion dollars in key client accounts. He is responsible for delivery operations, competency development, key client relationship management, and business development. Saurabh has worked on new commercial models and has addressed the challenges within the pharma industry around engagement with the key stakeholders. With over 17 years of industry experience, he has helped industry players to engage stakeholders (HCPs/Nurses/Pharmacists/Payers/Internal Reps/Patients, and other teams) in a more engaging manner through various digital channels and media. He has also established Medical Engagement Centers for Multichannel Marketing (MCM), Medical Information Management (MIM), and Patient Engagement Programs across the globe. 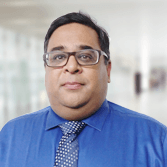 Saurabh also has a strong interest in accredited CME programs; he has worked extensively on CME/CPD projects across Asia Pacific (India, China, Singapore, Malaysia, Indonesia, and Philippines) and Europe, with the respective International Center of Excellence. Tarun has over 27 years of experience and has been associated with Indegene for the past 17+ years. 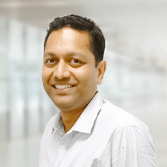 He leads the technology domain at Indegene and his responsibilities include development of technology-based solutions focused on the healthcare industry. His strengths lie in his technological expertise and business acumen, which help in developing various platforms and next-generation IT solutions. Shouvanik possesses an industry experience of 2 decades and leads Corporate Development at Indegene. He primarily focuses on emerging application of analytics, big data, and digital transformation for life sciences and healthcare Industries. As an early adapter of analytics and insight in marketing, operations, and risk, he is well versed in incubating new business units for mature corporations. Shouvanik firmly believes in creating value by bringing together diverse, large teams and aligning them to drive stated business goals. Most recently, he served as the COO of the Encima Group prior to its acquisition by Indegene and led the integration of the 2 companies. Phil’s work is focused on driving innovation in the areas of data strategy, analytics and technology integration, and data science. 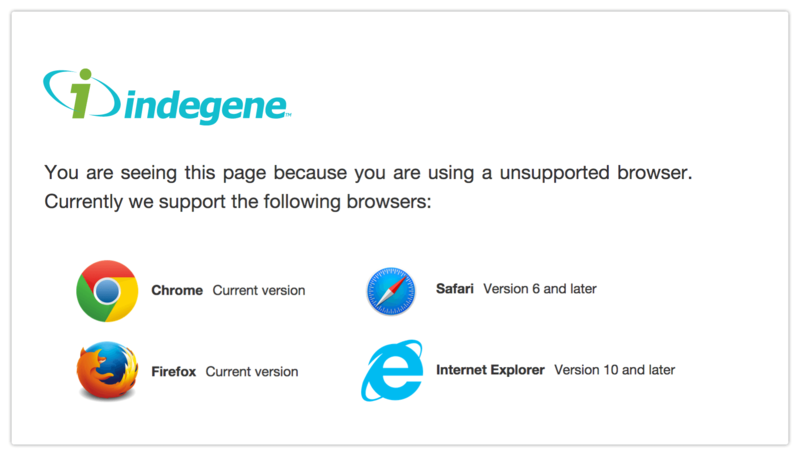 At the broadest level, this is making analytics at scale possible for both Indegene and our life sciences clients. 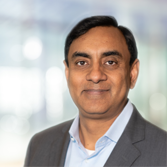 His critically important initiatives include industrializing machine learning for the top-5 pharma, automating baseline analytics using NLG for global enterprise engagements, and helping Indegene own the content analytics space.